Mountain climbers know this well, especially when major peaks are the objective. The base camp for the Everest climb (summit at 29000 feet) from the south side is at about 18000 feet. The principal purpose is acclimatization: to the depleted oxygen, the terrain and the team. The preparation is both mental and physical. It is essential for success. The Director (essentially the President) of the Indian Institute of Technology at Gandhi Nagar (IITGN) decided to institute a base camp for the entire entering class, based loosely on his previous successful venture at IIT Kanpur. They refer to it as the Foundation Program. The purposes are much the same as for assaulting difficult peaks. I chanced to visit in early August, spoke to four students in the program, and here is my take. First some background. The Indian Institutes of Technology are elite engineering institutions. The incoming students represent the top 2% of high schoolers, at least as determined by the entrance exam. A presumption of academic preparedness is valid. Why, then, a base camp? In the US, some top economics departments have non-mandatory mathematics base camps for incoming PhD students. This is intended to brush up on higher mathematics prior to diving into the program. Most of the entering class has been out in the work force in some fashion, so this is likely targeting them. The IITGN program is certainly not about academic preparedness in this classic sense. My chat with the four students sheds some light. Two young women (YW) and two young men (YM), unsurprisingly all evincing smarts. What surprised was the self-awareness and the ability to express their feelings. Not common for engineers, especially the latter facility; then, again, they were not yet engineers. They had all been plucked out of the Foundation Program, with no notice (I asked for this within hours of the meeting) and presumably volunteered for it. As it turned out, they all loved the Program. So, relieving the tedium was not the reason. I ended the conversation with a question along the following lines: “What was the one singular experience that was the most valuable take away?” YW 1 said it was the sports. Responsive to my query she stated that she had no opportunity or inclination in the past. She was amazed she loved it, especially volleyball. This from a petite frame topping 5 feet only in platforms. American readers will ask what the big deal is. The big deal is that, in my view, many of this cohort have immense pressure to do well in the entrance exam (don’t forget the two percenter population). In some families it may be all consuming (not suggesting that is necessarily the case for this young woman). This leaves little room for much else. One function of the Program is clearly to provide this exposure to well roundedness; they really scored with this one. YW 1 was up first, with no prep time for the question. The response was prompt and decisive. This was not a shallow impression. YW 2 was up next. She had discovered that she could speak in public, and that she was good at it and enjoyed it. Some aspect of the program allowed this discovery; I did not probe the exact detail because it did not matter for what I was trying to achieve. Hers was almost a sense of wonderment at this newfound capability, nay power (“I can dance!” Leo Sayer in Ten Tall Glasses). This too was a big score for the Program. Few traits are more correlated with success in engineering endeavors than the ability to communicate effectively. Early discovery of one’s proclivity in this space could be decisive in choices even in the formal education. An almost trivial example is volunteering to be the spokesperson in the reporting out of group projects. YW 2 as well was firm and decisive. You are getting a feel for my earlier statement regarding self-awareness and clarity of expression. YM 1 could not have been more different. His moment of discovery was the informal interaction with seniors (upper class persons) in a variety of settings giving him considerable exposure without the hazards of “ragging”. Upon being asked, he expressed the value as being represented in advancing his own ambition to be the student body president. I also got the impression that the socializing with the entering class played a part in what I described as developing a constituency, a characterization that he did not dispute. I suspect Bill Clinton was similarly single-minded at that stage in his life. The upper class participation appears to be a facet of peer to peer learning. YM 2 enjoyed the collaborative atmosphere and the empowerment that went with it. He described the formation of teams to create a variety of program elements such as logos. Despite the highly competitive cohort, the interaction was very congenial and produced results. Again, the time did not permit a lot of detail. But one could safely assume that teamwork of this type would provide exposure to both unlike and like people. My own IIT experience fifty years prior was more conventional. As a result, my closer friends were either dormitory neighbors or members of extra-curricular activity. Only one was from my engineering discipline, and he too was a neighbor. I have observed the same with my sons in US colleges: lasting friends are from the freshman class and most usually from the same sources as mine had been. This program allows for a broader and more informed selection. This could be especially important for the young women, who are in a minority, only 10% in this class. Derived solely from the feedback of these students, and deliberately without a study of the actual program, I conclude the following. The IITGN Foundation Program is truly a base camp for the assault to come of what most consider the pinnacle of engineering learning. These students will be better prepared than those at other IIT’s; of this I have little doubt. Emulators need to consider the fact that this class size is small, about 180; some other IIT’s have 800. The Program intrudes well into the school year. This is feasible only in dedicated institutions, and even so, faculty will take considerable persuasion. 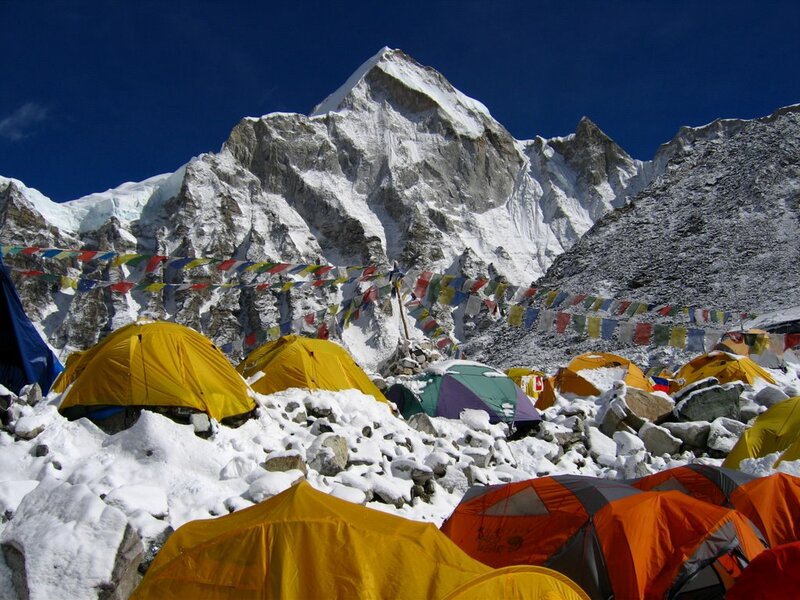 Could Everest be scaled without a base camp? Most likely yes. But, the probability of success with minimum damage is immensely greater with one. All engineering institutes would be well served to study and emulate the IITGN innovation. In Prof. Ross Bassett’s work MIT is credited with being highly influential in the formation and content of the IIT’s. Their adoption of a version of this program would be fair turnabout. What a poignant, thoughtful, relevant, and highly incisive post. Should be required reading among all Career Development Center unit personnel across academia. You are currently reading REACHING THE SUMMIT REQUIRES A BASE CAMP at Research Triangle Energy Consortium.